The MK-12mm f/2.8 lens has 12 glass elements in 10 groups with an aperture of f/2.8 – f/22. 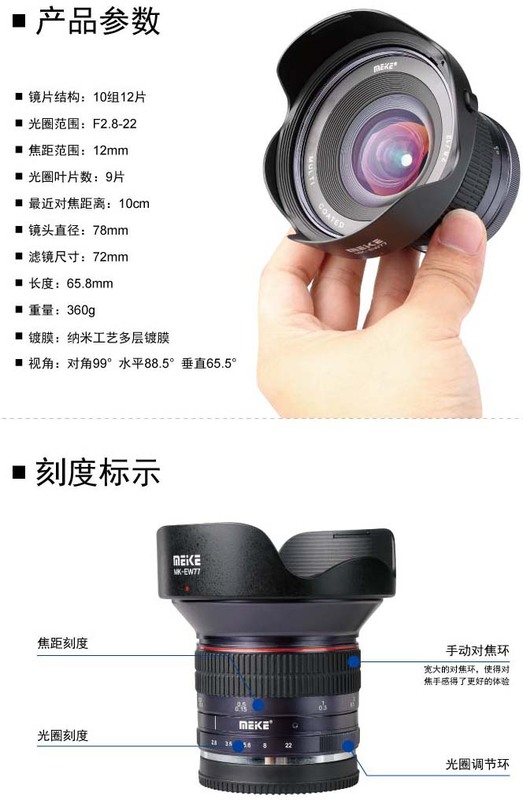 It has a minimum focusing distance of 10cm, a lens diameter of 78mm and weighs 360g. 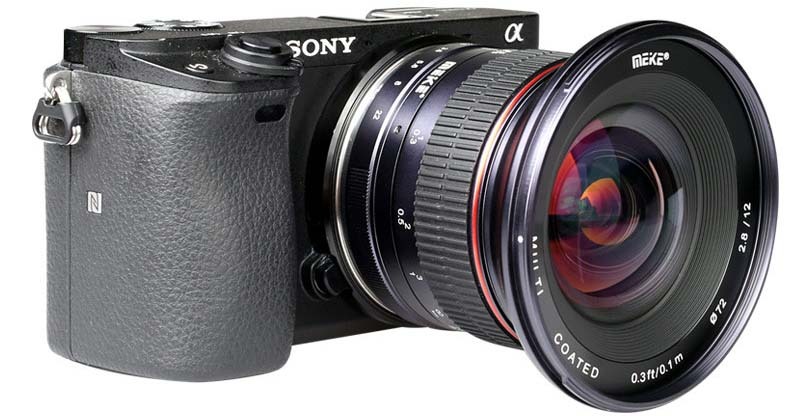 The MK-12mm f/2.8 comes with a removable lens hood and comes with a lens pouch. 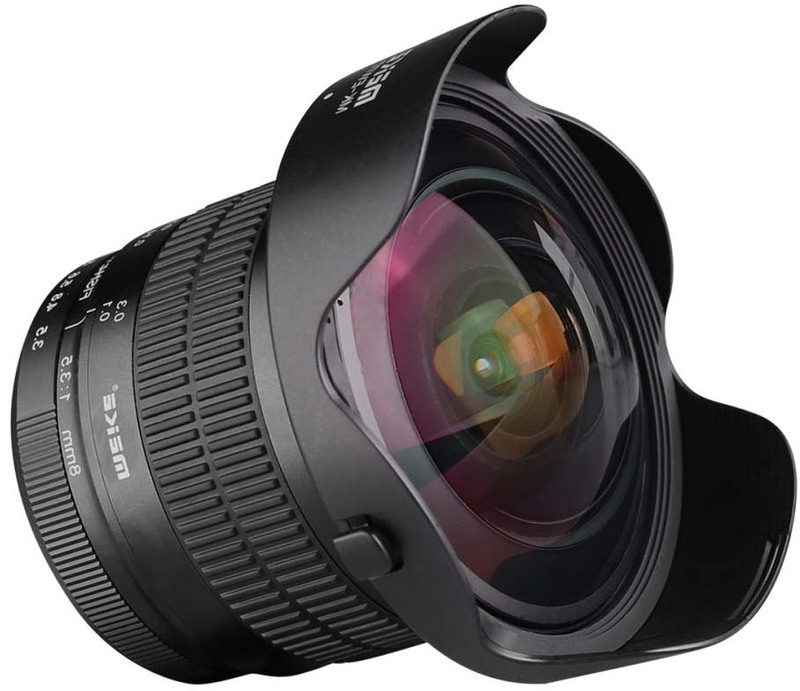 The MK-8mm f/3.5 fisheye lens has 11 glass elements in 8 groups with an aperture range of f/3.5 – f/22. It has a minimum focusing distance of 10cm, a lens diameter of 77mm and weighs 440g. The MK-8mm f/3.5 fisheye comes with a removable lens hood and lens pouch. This entry was posted in 3rd Party Lens and tagged MEIKE 12mm f/2.8, MEIKE 8mm f/3.5, MK-12mm f/2.8, MK-8mm f/3.5 fisheye. Bookmark the permalink. Trackbacks are closed, but you can post a comment.